Judith “Judy” C. DeFilippo, 78, a former resident of Lake County and most recently of Hanover, passed away Friday May 29, 2015. She was born March 17, 1937 in Grayslake to Howard and Ethyl Caldwell. Judy worked for the Gurnee School District retiring in 1996. She was a loving and caring mom, grandmother, and friend. A wonderful woman who touched so many people’s lives. Judy is survived by her children Holly and Anthony DeFilippo, Jeff Green, Tammy (Mark) Kretzmann, RoseMary DeFilippo, Rita (Bill) Collins, and Mike (April) DeFilippo, her 19 grandchildren, and her 12 great-grandchildren. She was preceded in death by her parents, her first husband Herbert Green, her second husband Anthony DeFilippo, her sister Shirley Butler, her daughter Carole Jordan, her infant son Herbert Green, her step-son John DeFilippo, and her grandson Austin Jordan. A visitation is scheduled for Wednesday June 3, 2015 from 10:00am until 12:00pm with a service commencing at 12:00pm at Strang Funeral Chapel & Crematorium 410 E. Belvidere Rd. Grayslake, IL 60030. Interment will follow at Ascension Catholic Cemetery in Libertyville, IL. Memorial donations may be made to the St. Judes Children’s Hospital. For more information please log onto www.strangfuneral.org or call (847)223-8122. Nopharat Amponin, 81, of Grayslake, passed away on May 28, 2015 at Lutheran General Hospital in Des Plaines. She was born on March 29, 1934 in Trad, Thailand. She and her husband Leodegario Sr, were married 58 years having wed on January 7, 1956 in Bangkok, Thailand. Nopharat loved to sing and dance and also loved cooking, swimming, gardening and loved to travel. She was very outgoing and a very generous person. Most of all she loved spending time with her family. Nopharat is survived by her husband Leodegario Sr, her children Maline (Harold) Orenstein of Skokie, Illinois, Malisa Garcia of Lewisville, Texas, Chalee (Ruth) of Darien, Illinois, Arinda (Charles Jr) Spicuzza of Chicago, Illinois, Stephen (Fe) of Grayslake, Illinois, Leo Jr (Dawn) of McHenry, Illinois, Angela (Ronald) Anderson of Grayslake, Illinois She is also survived by 13 Grandchildren, 1 Brother, and 1 Sister. She was preceded in death by her parents and 9 siblings. Friends of the family may visit from 4PM to 8PM on Sunday, May 31, 2015 and on Monday from 4PM to 8PM on Monday, June 1, 2015 with the funeral service commencing at 8PM at Strang Funeral Chapel & Crematorium, 410 East Belvidere Road, Grayslake, IL 60030. In lieu of flowers, donations are preferred. Contributions may be made to the family. For more information please log onto www.strangfuneral.org or contact (847)223-8122. Hildegard “Marguerite” McClelland, 71, a resident of Winthrop Harbor, passed away Friday May 29, 2015 at her home. She was born August 8, 1943 in Hagenau, France to Emile and Erna Bauman and raised by her mother and step-father Georges Kuhn. Marguerite was a member of the North Shore Unitarian Church in Deerfield. She taught at Armitage Academy in Kenosha for 23 years. 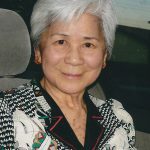 She was a member of several writers groups including the Illinois Poetry Society. Marguerite is survived by her husband of 51 years, Winfred “Mac”, her children James (Mina) McClelland and Danielle (Jonathan) Katz, her grandchildren Keagan and Aiden McClelland and Aaron and Noah Katz, and her siblings Jean-Pierre (Melitta) Kuhn and Marliese (Daniel Brown) Kuhn. She was preceded in death by her parents, her step-father, and her sister Frieda Haehnel. A visitation is scheduled for June 4, 2015 from 5:00pm until 8:00pm at Strang Funeral Chapel & Crematorium 410 E. Belvidere Rd. Grayslake, IL 60030. Memorial donations may be made to the North Shore Unitarian Church in Marguerite’s name. For more information please log onto www.strangfuneral.org or call (847)223-8122. Henry W. Aalto, 2 days old, a resident of Lakemoor, passed away May 28, 2015 in Park Ridge, IL. He was born May 26, 2015 in Park Ridge, IL. Henry is survived by his mother and father Jeffrey and Spring Aalto and his grandparents Penny and Rob Cetner, Ken and Kris Evans, and William and Corinne Aalto. A visitation is scheduled for Friday June 5, 2015 from 1:00pm to 2:30pm with a service commencing at 2:30pm at Strang Funeral Chapel & Crematorium 410 E. Belvidere Rd. Grayslake, IL 60030. Donations may be made to the NICU of Advocate Lutheran General Hospital. For more information please log onto www.strangfuneral.org or call (847)223-8122. Audrey B. Evans, 85, a resident of Grayslake, North Chicago, and Lake Villa, passed away December 17, 2014. She was born July 27, 1929 in Grayslake, IL to Addison and Bessie Christy. Audrey liked to dance and was well known for her happy go lucky attitude. 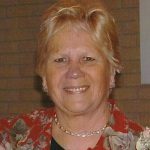 She worked for the North Chicago Cab Company as a dispatcher and was a member of the Grayslake Senior Center. Audrey is survived by her many cousins. She was preceded in death by her father Addison Christy, her mother Bessie (nee: Waters) Craft Bauman, and her husband Arthur Evans. A service is scheduled for July 28, 2015 at 1:00pm in the mausoleum of Northshore Garden of Memories 1801 Green Bay Rd. North Chicago, IL. In lieu of flowers donations may be made to the Grayslake Fire and Rescue. For more information please log onto www.strangfuneral.org or call (847)223-8122. Carol A. Harris, 77, a resident of Third Lake, IL passed away Sunday May 24, 2015 at Advocate Condell Medical Center in Libertyville. She was born January 11, 1938 in Chicago, IL to Stanley and Frances Korpan. Carol was a graduate of Tuley High School in Chicago. She enjoyed cooking, baking, and spending time with her family. Carol is survived by her husband of 59 years, Arthur, her children Renee (Michael) Lingk, Peggy (Michael) Berger, Lisa Harris, Tracy (Kevin) Heerres, and Randal (Heidi) Harris, her 10 grandchildren, 2 great-grandchildren, and her sister Louise (Leon) Oszakiewski. She was preceded in death by her parents, her brother William Korpan, and her sister Patricia Fury. A visitation is scheduled for Wednesday, May 27, 2015 from 4:00pm until 8:00pm at Strang Funeral Chapel & Crematorium 410 E. Belvidere Rd. Grayslake, IL. A funeral service is scheduled for Thursday, May 28, 2015 at 1:00pm at the funeral chapel. Interment will follow at Highland Memorial Park in Libertyville, IL. In lieu of flowers donations may be made to the American Cancer Society. For more information please log onto www.strangfuneral.org or call (847)223-8122. Robert G. Rosemeyer, 95, a resident of Grayslake, passed away Thursday, May 21, 2015. He was born March 21, 1920 in Thorp, WI to Raymond and Ida Rosemeyer. Robert was a World War II veteran serving for the US Army as a Private First Class in the infantry in the Asiatic Theatre. He had worked for Johnson Outboards in Waukegan for 30 years as Departmental Foreman. Robert was a member of St. Gilbert Parish, he volunteered with the Avon Center School on many functions and projects, and was well known with the Highland Lake Assn. Robert is survived by his sons Robert E. (Jacqueline), Gerald L. (Kathryn), Jon M. (Bonny), James D. (Margaret), Daniel T., Marc A., and Glenn A. (Zenaida), his 13 grandchildren, his 7 great-grandchildren, and his siblings Sister Rebecca Rosemeyer, Justin Rosemeyer, and Marcie (Jim) Podvin. He was preceded in death by his parents, his wife of 71 years, Myrtle Ruth Rosemeyer, his brothers Charles, Raymond “Bud”, Eugene, and his sister Norma. A visitation is scheduled for Wednesday, May 27, 2015 from 4:00pm until 6:00pm at Strang Funeral Chapel & Crematorium 410 E. Belvidere Rd. Grayslake, IL. A funeral mass is scheduled for Thursday, May 28, 2015 at 10:00am at St. Gilbert Catholic Church 301 E. Belvidere Rd. Grayslake, IL. Interment will follow at Ascension Cemetery in Libertyville, IL. In lieu of flowers donations may be made to Midwest Palliative and Hospice Carecenter 2050 Claire Ct. Glenview, IL. For more information please log onto www.strangfuneral.org or call (847)223-8122. 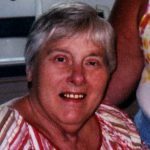 Patsy Ann Beckman, age 82, of Arkdale (formerly of Deerfield, IL) Wisconsin died Monday, May 18, 2015 at St. Joseph’s Hospital in Marshfield, Wisconsin. Patsy was born March 2, 1933 in Chicago, Illinois to Harry and Elvira (Leander) Olson. She graduated High School in 1951 in Northbrook, IL. Patsy married Leonard Beckman on June 3, 1951 in Northbrook, IL. They made their home in Deerfield, IL where they raised five children. Patsy retired from Sunset Foods of Highland Park, IL and moved to Arkdale, WI in 2003. Patsy enjoyed bowling, snowmobiling, ATVing, sewing, and spending time with her children and grandchildren. Patsy is survived by her children Robert (Marcia) Beckman of Elgin, IL, Judy Link of Grayslake, IL, Ron Beckman of Grayslake, IL, Mark (Sharon) Beckman of Brookfield, Wisconsin, John (Christine) Beckman of Grayslake, IL, her grandchildren Kurt Link, Martin (Jodi) Beckman, Larry (Amanda) Link, Brian Beckman, Tara Beckman, Corey Beckman, Jennifer O’Neill, Matthew Beckman, Claudia Beckman, Kevin Beckman, Megan Pelky, Krista Pelky, Chelsea Pelky, Caitlyn Pelky, her great-grandchildren Hailey Beckman, Kylee Beckman, Alexis Beckman, Peyton Burns, her sister Janet (Rich) Peters, and numerous nieces, nephews, other relatives, and friends. Patsy was preceded in death by her parents, Harry and Elvira Olson; husband, Leonard Beckman; granddaughter, Jenna Beckman; and sisters: Wilma, Carol, and Norma. Visitation will be Saturday, May 30th from 12 Noon until the time of the Memorial Service at 3:00 p.m. at Strang Funeral Chapel & Crematorium, 410 East Belvidere Road, Grayslake, IL 60030. Memorials may be directed in Patsy’s memory to Lurie Children’s Memorial Hospital, Chicago, IL or Adams County Wisconsin Humane Society. For more information please call (847)223-8122 or log onto www.strangfuneral.org.